I am so excited about wearing my new fall clothes, but I just look silly trying to pull off some of my new pieces in 80+ degree temps. 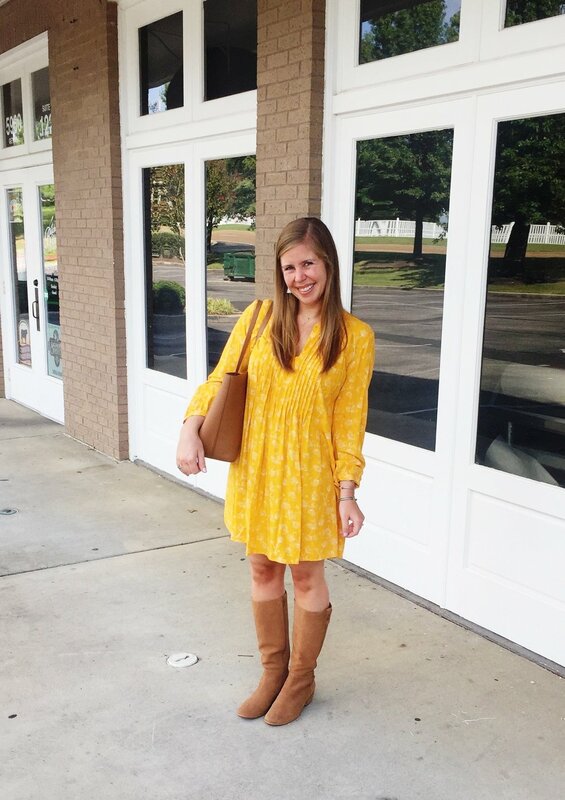 However, all of the dresses I am sharing with you today are perfect to wear now and later on into fall! Plaid Shirt Dress 2- I also got this one! Printed Minidress- Same style, different print! Short Sleeve Magenta Dress- The gold buttons on the back of this dress make it even cuter! Do you have any other dresses that you love for under $50? I'd love to add them to this post. Thanks so much for reading! Have a great day!